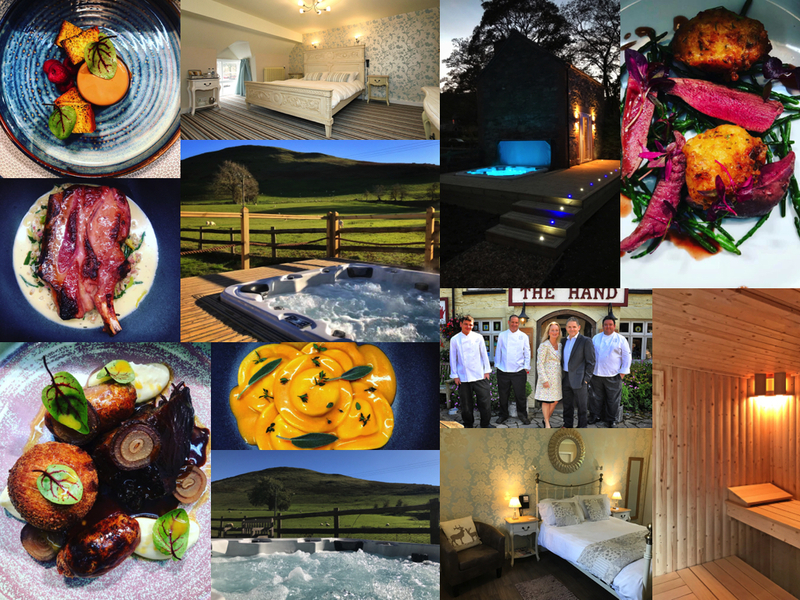 The Hand at Llanarmon is an ancient hostelry with all the attributes you’d expect – bags of character, a cosy, relaxing ambience and a warm welcome from your hosts, Jonathan and Jackie Greatorex. As soon as you arrive you feel the weight of the world dissolving as the surroundings work their magic. All the classic ingredients are here – old beams, roaring fireplaces, a casual mix-and-match of pine and oak furniture, real ale and good food. The latter is seriously good. Thanks to the talents of Head Chef Grant Mulholland and his team, The Hand is renowned for award-winning food; an inventive marriage of country fare and sophisticated metropolitan cuisine. The bedrooms, in a variety of sizes, have all been decorated to a high standard and boast sparkling modern bathrooms, satellite TV and all the amenities that you would expect from a country house hotel. Country lovers just love the location. You can walk in the Berwyns for hours with only the sheep for company and the ever-helpful Hand can arrange many country pursuits, including horse riding, fishing and shooting. You may be away from it all, but you’ll also be in the swing of things; this gem of a country inn is so much a part of village life that locals and visitors mix in unaffected harmony. Feel free to browse through our website to get a flavour of what we offer or, you can download our mini-brochure by clicking here.